BASE jumping is one of the world's newer sports, and if any activity deserves to be called an "extreme sport," it's this spectacular pastime. Unlike skydivers who jump from airplanes, BASErs leap from fixed points, BASE being an acronym for Buildings, Antennas, Spans and Earth. Enthusiasts freefall for just a few seconds, or glide for several kilometers using wingsuits, then open their parachutes and land. That's the theory, at least. Not surprisingly, some of the world's leading BASE jumpers have suffered fatal accidents. The buildings and antennas categories are self-explanatory. Many of the most famous BASE jumps in history have been from skyscrapers, but practitioners don't often leap from tall building because they run the risk of being arrested for trespassing. Super-tall antennas are usually found in rural areas, where the lack of nearby buildings makes jumps significantly safer. Spans are bridges across gorges or deep ravines; those across rivers tend not to high enough for BASE jumping. The final category, Earth, includes clifftops, canyons and other geographical features from which BASErs can launch themselves. The Burj Khalifa in the United Arab Emirates is currently the tallest man-made structure in the world (830m or 2,722 ft), so it's no surprise it has drawn the attention of BASE jumpers from around the world. In May 2008, well over a year before the tower was officially opened, Frenchman Herve Le Gallou and Englishman David McDonnell made an illegal jump from the 155th floor, approximately 650 m (2,132 ft) above street level; Le Gallou and another Briton were arrested when a second jump was attempted a few days later. In both instances, the jumpers had gained access to the building by posing as European engineers. The men were fined before being allowed to leave the UAE. Le Gallou, one of the sport's pioneers, died while wingsuiting in the French Alps in 2012. Jumps from radio and television masts attract less attention than skyscraper leaps. And from the jumper's perspective, one disadvantage is that few broadcasting antennas have elevators to the top, so a laborious climb up stairs and maintenance ladders has to be endured before hurling themselves into the void. The Warsaw Radio Mast was the tallest in history, being some 646m (2,121 ft) in height. It collapsed in August 1991, before BASE became a popular sport, and so was never "conquered" by the likes of La Gallou or Reffet. The Amolanas Bridge in Chile was the site of the stunt in the video below, which was made significantly more complex and dangerous because star Sebastian Alvarez leapt from the back of a moving pickup. Alvarez, the first Chilean BASEr to rise to international prominence, has his own YouTube channel. Search out the Superman-style feat in which he wingsuits between apartments blocks in Renaca, his coastal hometown. Just as urban BASEing has been used to highlight cityscapes and architectural landmarks, Earth BASE-jump videos often provide fresh angles on attractive scenery. Navagio beach, on the Greek island of Zakynthos, has emerged as a favorite spot. Accessible only by boat, this stunning cove is surrounded by cliffs up to 270m (886 ft) high. It's from these that dozens of BASErs leap each summer, as seen in the video below. In 2012, a British jumper was blown back into the cliff face; his parachute snagged on a rock and he hung there for three hours, awaiting rescue, before his chute worked loose and he fell to his death. 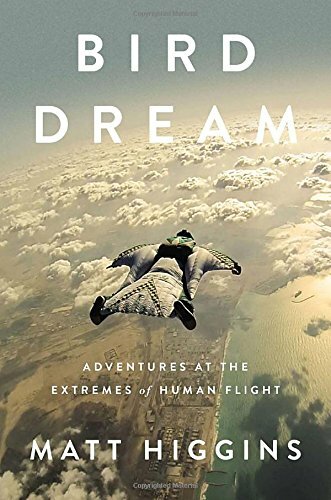 In less than two decades, wingsuit technology has advanced to the point where the most skilled flyers can exceed speeds of 300 km/hour, and cover more than 20km in horizontal distance. Colombia's Jhonathan Florez (born 1983), who took first place in the 2013 Red Bull World Wingsuit League Grand Prix, holds the world record for the flight with the longest duration: 9 minutes and 6 seconds. Corliss - who survived a close brush with death in South Africa in early 2012 - is perhaps the world's most accomplished and most famous BASEr. Nonetheless, he was thwarted by a virtual unknown in his quest to achieve the first parachute-less landing. He was still planning the stunt, which would culminate with a descent onto a ramp outside a Las Vegas casino, when news came that Briton Gary Connery had intentionally landed without a parachute and not injured himself. Connery, who later parachuted into the opening ceremony of the 2012 Olympic Games dressed as Queen Elizabeth II, is a movie and TV stuntman. During the course of his career, he had fallen numerous times from great heights onto stacks of cardboard boxes, and realized that a landing strip made of the same material would give sufficient cushioning for a wingsuit flyer. On a sunny spring day in the English countryside, some 18,600 cardboard boxes were arranged in a rectangle, 107m (350 ft) long, 12m (40 ft) wide and 3.7m (12 ft) deep. Connery's flight went perfectly to plan, and he clambered out from among the boxes wearing a champion's grin and the neckbrace he'd wisely donned before beginning his landmark flight. The dreams humans have always had of bird-like mobility are finally coming true! Wow. My friend has been nagging me to go bungee jumping. But after reading this, I fear more.